Tour Bangladesh is the must-have free tour app for BD travellers to know historical Bangladesh, natural Bangladesh, beautiful Bangladesh & all amazing places of Bangladesh. Travel Bangladesh for the best archaeological, religious, recreational & kids tour spots around whole country. We have collected 200+ tourism places from all districts of Bangladesh. 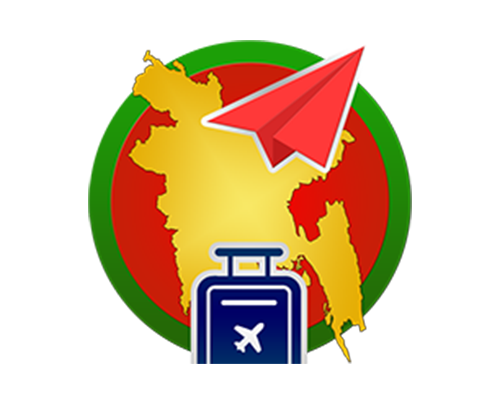 This tourism Bangladesh app spots the best places to visit around you with GPS location. Whether traveling on foot or by car you never miss a nearby popular place in Bangladesh. All famous tourism spots of Bangladesh will appear in order of distance from your location. Bangladesh tourism app provides all information that travellers in Bangladesh will need- about the destinations, hotels accommodation, places to visit, tour operators of Bangladesh and more! Know the history of Bangladesh from this virtual Bangladesh tour, virtual Bangladesh travel guide. ???????? ????? ????? ?????????? ???????? ????????? ???? ?, ???????? ??? ?, ????? ???? ?? ???? ????????? ????? ???????? ??? TopOfStack Software has collected the info from various sources over internet; all credit goes to respected authors, researchers, photographers & travellers. Our team is working continuously to provide more & only correct info. We have no contract or relation with Govt authority.